In the cold snowy winter months I find I get a very sore throat. I think it's mostly from the dry heat (I've got electric heat in my place) and I find it sometimes difficult to sleep, no matter how much water I drink. This morning I made up a batch of what I call Throat Tea. 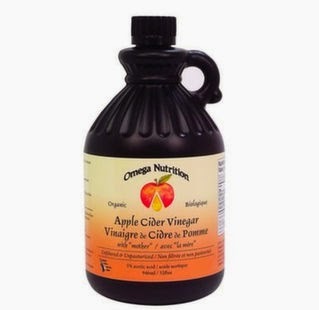 I'm not sure where I got the recipe from, but I've been using it for years and nothing cures a sore throat faster! I'm feeling good as new now that I'm having my large mug full. "Whoa, this stuff really works!" So I thought I'd share my recipe. As to what kind of tea to use, I used Seven Sisters peppermint today. Chamomile is also nice and soothing, or try any herbal tea you prefer, but stay away from kinds with natural or artificial added flavours. Use herbal tea because they are not dehydrating like caffeinated teas. Using natural herbal teas is the most soothing to the throat and any added ingredients or caffeine will have an opposite effect. Start by boiling water, and in the meantime add the other ingredients to a very large mug. I use a super extra large one, so the recipe is probably more like a recipe for two cups. As for the ginger, I buy the large pieces of fresh ginger and keep it in the freezer until I want to use it. This keeps it fresh and it's very easy to shave off pieces. You can grate the ginger with a grater, or just shave off thin slices with a knife. Fresh lemon juice is best, but in a pinch use the kind in the bottle as I did today. Pour just-boiled water over the concoction and stir to mix. Leave for about 5 minutes to steep and stir again, and drink while hot. 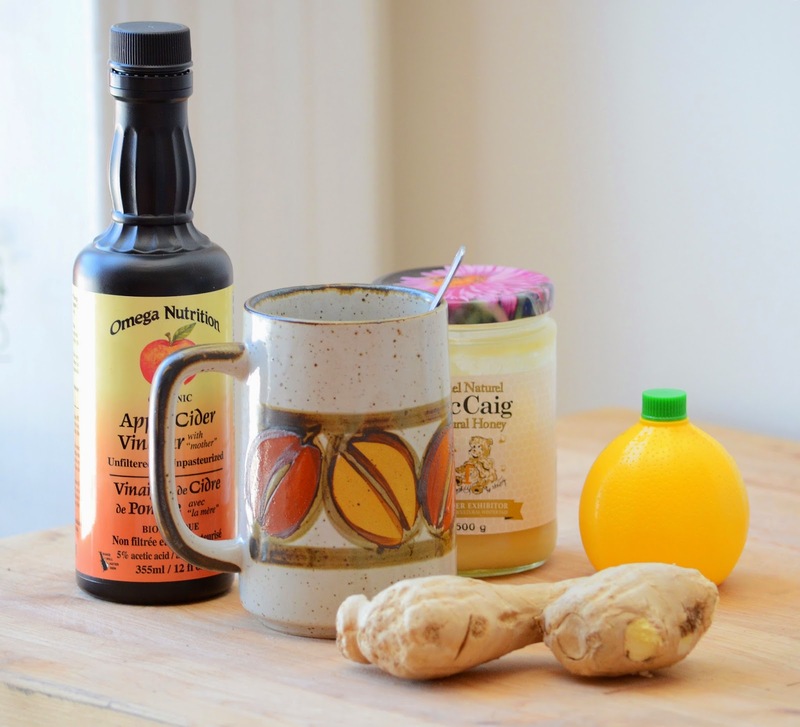 Ginger, honey, and lemon in water is a classic sore throat remedy, but the addition of pure unfiltered Apple Cider Vinegar boosts this drink's antibacterial properties which can help neutralize infections in the throat that cause pain.